Hall of the Mountain King: Review: Down -- "Over the Under"
I'll admit it took me a little longer to come around to New Orleans supergroup Down's latest record than it did for their first two. Initially, I missed those big hooks from their second record (the ones that some fans thought were a little too commercial.) Then, there was the mix on this record, which at times is as muddy as the bottom of the southern Louisiana bayous the music crawled out of. After a week or so of listening, though, I couldn't help but like it. 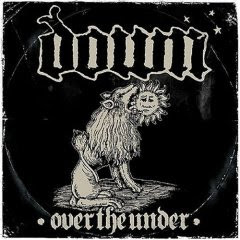 At its best "Over the Under" delivers exactly what fans have come to expect since the band's 1995 debut "NOLA" - a very organic record that's part stoner rock, part doom and heavy as hell. The sound here is equal parts Southern-fried groove, ominous Black Sabbath slab riffs and psychedelic Jimi Hendrix fuzz. 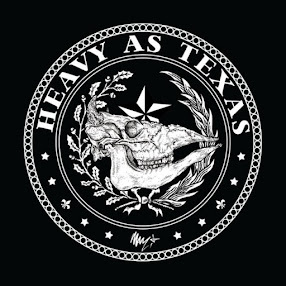 Blues influence crops up throughout the record in the grooves and lead guitar licks, and you'll even hear a touch of country twang on the song "Never Try" - where Phil Anselmo paraphrases Yoda in the lyrics with his "Never try, never try/ you either do it or don't waste your time." The heart of this record, as with the first two Down offerings, are the monster riffs and head-bobbing grooves of guitarists Pepper Keenan and Kirk Windstein layered over the solid rhythm section of Rex Brown and Jimmy Bower. Anselmo brings a world-weary, often agonized delivery that reflects the darkness of much of the subject matter. His lyrics are very personal on this record, if on occasion a bit incoherent - take, for example, the line "Partake no tangible out in tomorrow" from "On March the Saints." Huh? Despite the occasional head-scratcher line, though, the album delivers lyrically perhaps a little more than the previous two records. There's a more real and gritty feeling to Anselmo's approach to the lyrics, and truth rings through, particularly on the song"Mourn," which seems to address his feelings at being blocked from former bandmate "Dimebag" Darrell Abbot's funeral due to a feud with the guitarist and his brother Vinnie Paul. "Hotel room of doom/ I can't find a clue/ confusion, broken hearted woe/ sheets and pillows soaked/ telephone seems broken/ I'm calling crucified/ blacklisted, no reply..."
It's also a record that tracks both the misery and resilience of the city of New Orleans in the aftermath of Hurricane Katrina. Most notably "On March the Saints" and "Beneath the Tides," two of the stronger offerings on the record. There are misses here and there on the record. The "Planet Caravan"-sounding "His Majesty the Desert," which serves as more of an intro to "Pillamyd" than an actual song just doesn't quite capture the same atmosphere of the Sabbath classic, despite some spacey guitar work. And "Pillamyd" itself, despite being the fastest track on the record, sounds kind of out of place among the other work here. Still, the bouncing, undeniable grooves of songs like "The Path" and "N.O.D." more than make up for the few misses. Despite my initial misgivings, after a few weeks of listens, I can say Over the Under easily ranks as one of, if not the best record of the year, and it also ranks as Down's most honest and frank offering to date. Perhaps with the upheaval and challenges of the band's previous years in the past, we'll start to see more frequent offerings from the band. I, for one, would welcome it. Hear a clip of "On March the Saints." Hear a clip of "Mourn." Read my review of Down "II."